Who needs peanut brittle? Kick that old standard to the curb and give this Macadamia Nut Brittle a try instead! It's a sweet, crispy brittle loaded with chunks of rich, salty macadamia nuts. Prepare a baking sheet by lining it with foil and spraying the foil with nonstick cooking spray. In a small heavy-bottomed saucepan, combine the water, sugar, salt and corn syrup. Place the saucepan over medium heat and stir until the sugar dissolves. Brush down the sides of the pan with a wet pastry brush to eliminate sugar crystals from forming. Insert a candy thermometer and continue to cook the sugar syrup, without stirring, until the thermometer reads 290 degrees. Add the chopped macadamia nuts to the saucepan and stir to incorporate the nuts into the syrup. Bring the mixture back to a boil and, stirring constantly, cook until the candy reaches 300 degrees. Once at 300 degrees, immediately remove the saucepan from the heat and stir in the butter, vanilla, and baking soda. Once these ingredients are incorporated, pour the brittle onto the prepared baking sheet and spread it into a very thin layer. True brittles are “pulled” in order to achieve a very thin, crisp texture. If you would like to pull your nut brittle, allow it to cool for five minutes. It should still be very warm, but you should be able to handle it without burning yourself. Spray your hands with nonstick cooking spray, and use a spatula to lift some of the brittle off the baking sheet. Pull it into a thin layer, trying not to tear too many holes in the brittle. Continue to work sections of the brittle until it is very thin, or until you cannot pull it any longer. Allow the brittle to cool completely. Once cool, break the brittle into small pieces. The brittle will get sticky if exposed to too much moisture, so it is best to store it in an airtight container at room temperature. 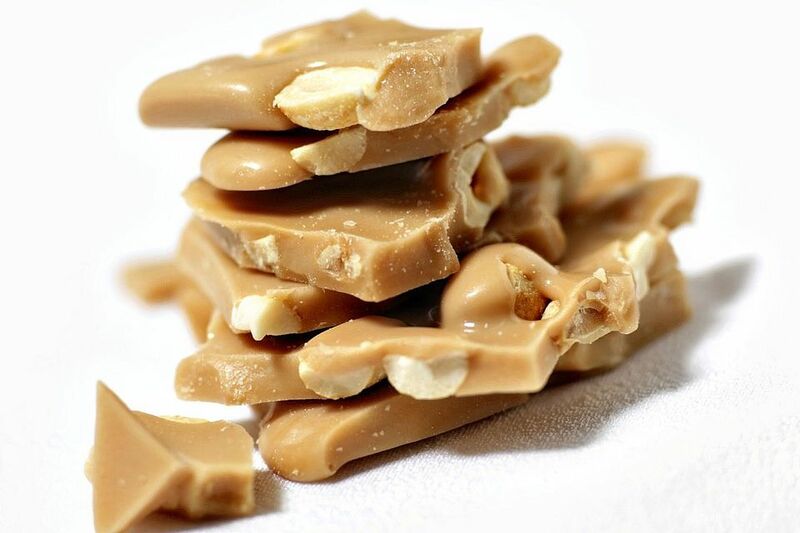 Click Here to View All Brittle Candy Recipes!